Martis Lake is a small 70 acre lake that resides just outside of Truckee. 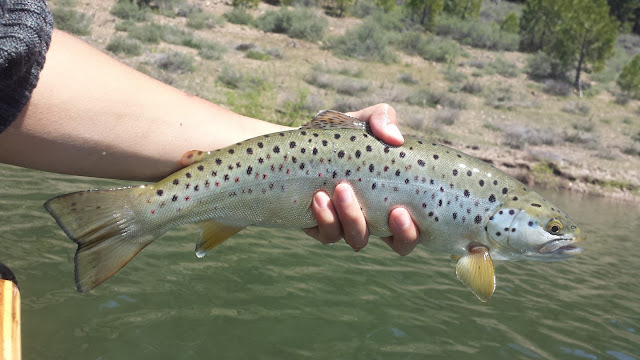 It was known as California's first reservoir to be designated as wild trout water and is one of the few lakes that is only open to fishing during general trout season from the last Saturday of April until the 15th of November. Like many of California's famous fly fishing destinations, Martis Lake was in its prime during the 80's. The lake was well-known for it's trophy brown trout along with its famous blood midge hatch. 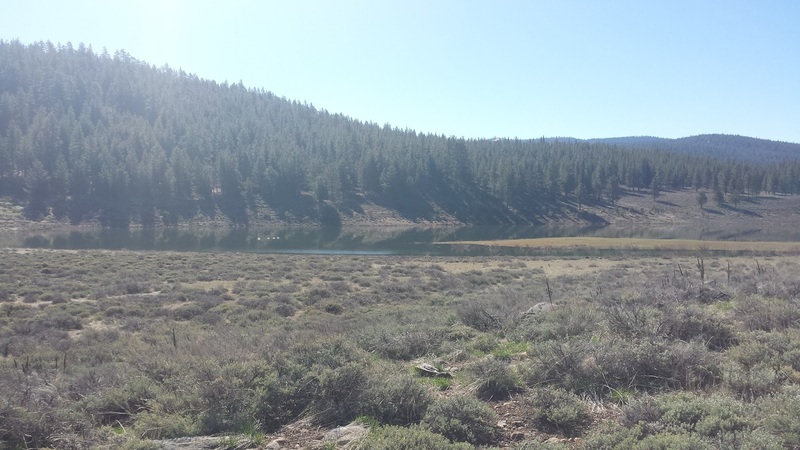 Since the lake's decline due to over-development, invasive species, milfoil, algae blooms, failed Lahontan cutthroat introduction, and drought damage, Martis is now just a memory of the good ole days. I have a thing about fishing famous California fly fishing locales; it gives me a lesson in fly fishing history and broken memories that the generation before me experienced while fishing those waters. Martis Lake was one of those places I had to check out. 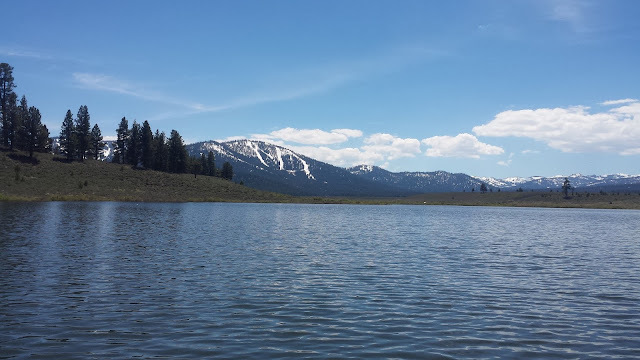 My first experience fishing Martis was a few days after it opened. The weather was relatively warm but the lake was running cold. Much of the vegetation was still dormant and the insects were just barely hatching. I was able to hook a nice bow while stripping a bugger on a 200g sink tip line but lost it before I could get it into the net. It wasn't me it was the lake. After waiting a few weeks I decided to test my stillwater skills again on Martis. I came prepared with a new intermediate sink-tip line and fresh new flies that were ready to be eaten. I started out at the south end of Martis towards the creek inlet. My 6WT was rigged with an intermediate sink line, a long leader, and two buggers. As I made my way around I felt a good take but I couldn't set the hook in time. No fish on but at least I was doing something right. The risers were cruising but too unpredictable to target. I didn't have a good target to cast to and soon after they stopped rising. At least now I know how important ants are in stillwater. I'll definitely be tying up a few in preparation for my next outing. I switched back to my buggers and began working my way around the lake again. I had several takes throughout the morning but I couldn't get a good hook set. It was very frustrating to feel your line get pulled and you pull back to nothing. By mid-afternoon the lake had slowed down or at least that's what I thought. With my wrists being tired from hours of casting and retrieving I took a break. As I stopped to think I made a guess that the fish were further down now due to the high sun. I switched to my super fast sink-tip line and started working my buggers on a very fast retrieve. Fish on! I figured it out. I hooked and lost several fish including a huge brown but was fortunate enough to land two fish. 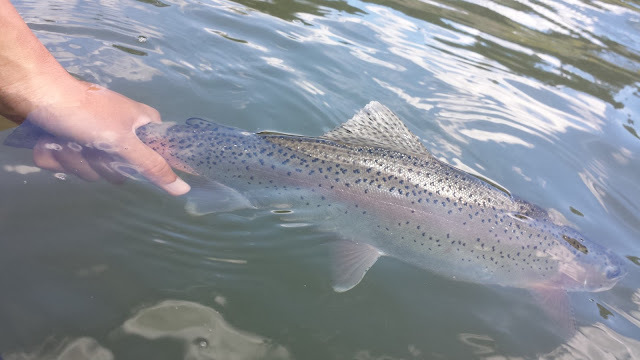 A beautiful brown and a fat Eagle Lake bow. Both of the fish I landed were very healthy and clean. Martis may look like a shallow weedy green lake but it produces some quality fish. The lake has a ton of food for those fish to eat: midges, scuds, mayflies, baitfish, snails, damsels, you name it they are in there. I wish I could have fished Martis when it was in it's prime but it is what it is. 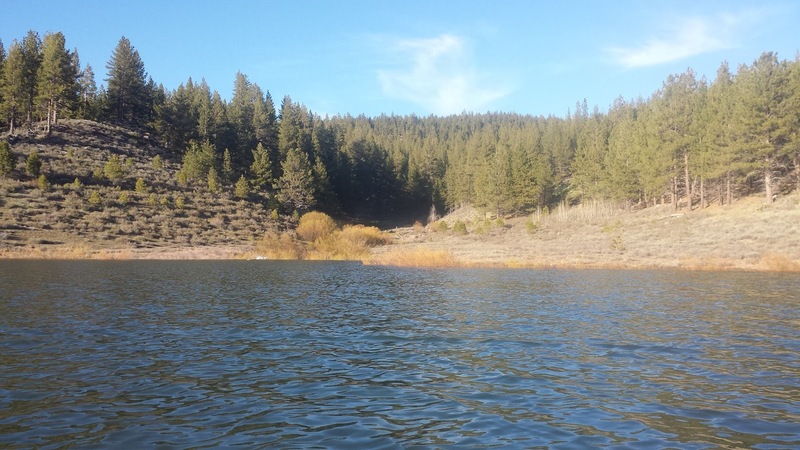 Martis Lake is now a sleeper lake with plenty of tough-to-catch big wild fish that no one really cares about. I think I prefer it that way. Does Martin lake freeze over I’m a local from Tahoe vista and just discovered the 7+ pounders that lurk in there. It's closed during the winter and most likely does freeze over. By opening day though it's good to go.